I like the idea of trading Syndergaard for Javier Baez & Miguel Amaya. If this deal was possible, the Mets could then flip Amed Rosario, in a package, for JT Realmuto. Amaya is still 2 years from being major league ready which is exactly the amount of years left on Realmuto’s contract. Mets could build a package of Rosario and Peter Alonso. That would be an enticing offer for the Marlins. Overpay??? I actually think it’s spot on. Alonso hasn’t played a game at the major league level yet and even though Rosario is a talented, young player, he’s no Javier Baez. Plus, how would this be an overpay when the Mets would be getting the best catcher in MLB still in his prime??? If the Mets did both the Cubs & Marlins trade, their lineup would be ridiculous. Even though I’m sure the Mets would look to improve the lineup even more, but just look at that 1-5. That’s just elite production. Well, according to that article, he is. When was the last time a star SP was traded for a star positional player ? Trades like that never happen plus it’s to many moving parts. I could see Thor for Bryant simply because of the fact I don’t believe Bryant will be there long term. I think if the Mets deal Thor they gotta fill multiple positions of need. Not just a 1 for 1 swap. Why Amaya? Seems like a mid level prospect. Either way, there is no way the Cubs are dealing Javy. He’s not. Not only is he the Cubs #1 prospect, he’s also on MLB’s Top 100 list. So you think the Cubs are going to trade a young controlled inexpensive all star and MVP runner up who played 160 games and plays SS 2B and 3B for Noah? Oh I am sorry you said Baez AND Amaya? Oh ok. Good luck with that. Okay stupid!!! Read the freaking article like any other educated adult would. I didn’t make this up. The article does. I think a Padres/Mets trade of Mejia, Gore & Stammen for Thor & Plawecki would be a fair deal. Substitute Stammen with Yates and you have a deal. From which side??? Mets or Padres??? Mets will get 1 of Mejia or Gore. Not both. Padres dont need Syndergaard with Paddack climbing the system. Really one sided lol Thor is overrated. No. Watch a game please. Thor has been injured past 2 seasons. 7 games in 2017 and 25 games in 2018. You dont trade top prospects for a guy who can’t stay healthy. Plus hed only got 3 years of control, 2 if you count 2019 as a lost season. Not worth giving up 6 years of guys who potentially give you more production combined than a guy that will give you 2 years, hopefully. Tf would you count 2019 as a lost season for syndergaard? He is healthy. Let’s just count lost seasons for anyone we want now. Franchy Cordero? Yeah we’re gonna go ahead and say 2019 is a Lost season. Franmil Reyes? Yeah, let’s go ahead and say 2019 is a lost season. Anyone else? Lost season for the padres. Thor isnt the missing piece for them to be world series contenders. Meanwhile padres already own reyes and cordero but would be wasting a year of Syndergaard control on a season they most likely arent gonna compete. Let’s just pretend Syndergaard is gonna pitch every game go 162-0 and win the world series for the padres in 2019. Clearly the rosters ready to contend and Syndergaard puts them over the top. Why is 2019 a lost season for Thor? Is there a new injury? He meant 2019 is a lost season for the Padres. They aren’t making the playoffs with Thor, they can fail to make the World Series without him. It’s not everyday a young ace level SP becomes available. Sale brought the top overall prospect in baseball at the time & the arguably the Red Sox top pitching prospect at the time. Plus 2 wild card prospects. In this Mets deal they would be getting 2 top prospects and a veteran set up man but they are also giving up a quality backup catcher that would be a need for the Padres instead of receiving 2 lotto type prospects. I don’t know I am a Brave fan but I think it’s fair. Well Noah is not Chris Sale– Sale was durable and dependable. Only once did he ever make less than 29 starts and 192 IP, and he still got 26 starts and 174IP. He was in the top 6 of the CYA all 5 full seasons he played. Syndegaard has only played 4 full seasons, only once pitching more than 154 innings, and it was still just 183. When healthy he is elite, but Chris Sale was elite AND healthy. You are no true baseball fan if you think Chris Sale and Noah Syndegaard are equal. Syndegaard isn’t the best pitcher on the Mets, or 10 other MLB teams, yet Sale is a top 3 SP in baseball and you consider their value to be equal? Hideous. Plawecki is NOT a quality backup. Not only can he not hit, he couldn’t throw a baserunner out if his life depended on it. I’d rather sign Nick hundley to backup rather than let Plawecki back up. You opined on a potential deal, he replied with legitimate criticism of it, and then you come back with that response? This is a website dedicated to discussing possible deals. Don’t comment if you can’t handle someone disagreeing with you. If anything, respond with some sort of facts, such as why you believe Thors injury history should be considered minimal in any comparison with Sale. You literally started this discussion about why YOU thought it would be a fair deal. Unless you’re Theo Epstein posing as a closet braves fan, you’re no GM either. What team hired you as a GM? Or any front office position? Tell me about it. The Mets wouldn’t want either of them. The Mets clearly want to trade Syndergaard in order to improve their everyday lineup. I would do Syndergaard for Cody Bellinger & Alex Verdugo. No he’s not!!! What are you smoking??? Google Cody Bellinger trade. Dodgers are more than open to trading him, especially for a SP. Your not getting an all-star and nlcs mvp+ our top propect. I can see Verdugo + for him. Doubt Bellinger gets moved like kenleyfornia said. We may get to see what Thor brings and my comparison to Sale wasn’t about numbers I never said he was on Sale’s level but at the same time it’s not about what he produced it’s about what the return will be. The Mets don’t have to trade Thor so what it comes down to is who feels they NEED Thor. Arms like that don’t become available everyday and as far as Sale goes yes he had been healthy up to that point but every pitching expert in the sport has predicted his mechanics are an injury waiting to happen. Thor has never had anything major so his injuries are not major problems. But you experts have your opinions I have mine. Remember the Mets don’t have to trade Thor and there are major competition if they choose to. Since Mets managed to keep McNeil in the Cano blockbuster, inclined to believe they finally turned a corner with trades. Hes averaged 22 starts a season. 22 out.of 32 around 70%. So they can ask for 70% of what they want. maybe a 3 way trades can work. Indians get Gore and plawecki. Pads gets Thor. Mets get Kluber, Mejia, and Yates. Wow, this is a great proposal. Every team gets what they want. I don’t think this is a later move at all. The Mets have said they would only trade Syndergaard if it improved them instantly. Kluber would essentially replace Thor in the rotation, Mejia is clearly an offensive upgrade & instantly becomes the Mets primary catcher and Yates would create quite a dynamic duo with Edwin Diaz at the back end of the bullpen. This trade makes a lot of sense. The Mets somehow have the most valuable piece by a mile based on that trade valuation. I guess as a Mets fan you do like that. You trade syndergaard and somehow turn him into Mejia and Kluber. I’d be pretty amped about that too. So padres give up 2 of their top 4 prospects top 30 in all of baseball and 2 years of their great closer. Meanwhile padres get an injury prone ace. And mets get a durable ace, elite prospect, and great closer. Uh no. 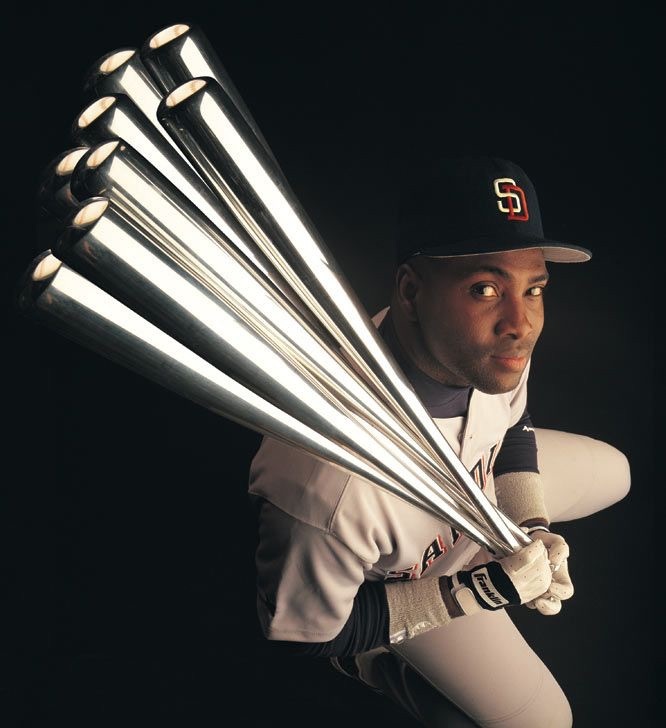 More needs to head back the padres way. Like McNeil or some prospects to justify them giving up that much. McNeil from the mets and either Ethan Hawkins or Noah naylor from the Indians. Are these comments serious or just trolling. Baez is worth more than Syndergaard. Kluber is worth more than Syndergaard. Even Buelher is arguably worth more than Syndergaard. Paulnewman I agree. Too many trolls. Kluber isn’t worth more. Kluber is too old to not be a bigger risk than Thor. Buelher looks good but will be having the surgery soon if he hasn’t already. More like De Grom for Baez. People, no team is trading their BEST PLAYER for an above average starter with a history of health issues. Baez is TALENTED; pending longevity and health, he could wind up being the best ever in a Cubs uniform. Syndergaard won’t have much value once his velocity is gone, which will probably be sooner rather than later. If you think about it gardy and cc only signed one year deals, there’s no way gardy signs again after this year and cc said this is his last season. That opens up money options and spots on the roster. With all the free agents and contracts ending the yanks will get back at least 60+ mil. So I think it is possible the Yankees sign machado and Harper. They were over the 204 mil tax a couple seasons ago they were at 244 million… if the Yankees are thinking long term and dynasty status which we all know they are I think they will sign corbin, machado and Harper. They just had the Red Sox celebrate in their stadium twice last season and got their asses kicked in the playoffs. If they sign those three they will be back to the 244 million payroll but they are buying the YES network back and those two STAR names in their lineup will boost network ratings which means more $$.